Of all the cars Audi sells, the one that gets the least amount of attention is probably the TT. That's not because it isn't a cool car—it is—but because the coupe gets lost in the shuffle of roomy sedans, bigger SUVs and the upper echelon of performance cars in the RS line. The 2018 Audi TT RS tries to cross that schism by bringing the sportiness of the RS line to the TT. Awkward name aside, the TT RS is very much a sporty car. I've never driven a TT before, so driving the TT RS was a lot of fun. In the past, I've seen TTs zooming across the highways of Southern California and thought the little coupe would be fun to drive. Its short frame and spunky engine has all the makings of a car that darts around quickly. However, its looks never appealed to me. All of that is solved with the TT RS model. Audi added more power and little tweaks to the exterior that make the TT RS perform and look ferocious. 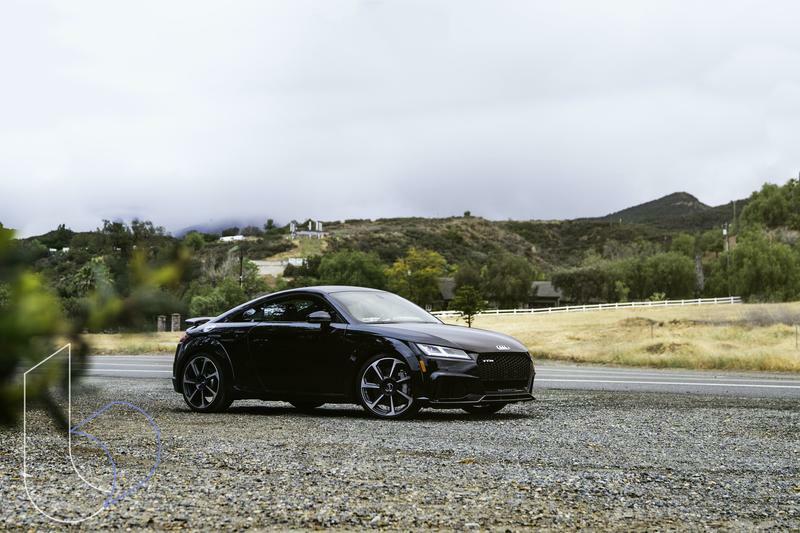 The standard TT starts off at $64,900, but once you add on a bunch of different packages, including the RS package, the price can get much higher. In total, the model I got to drive around came in at an MSRP of $80,200 with all the bells and whistles, including the dynamic plus package ($6,000), technology package ($3,500), black optic package ($1,750) and RS package ($1,900). 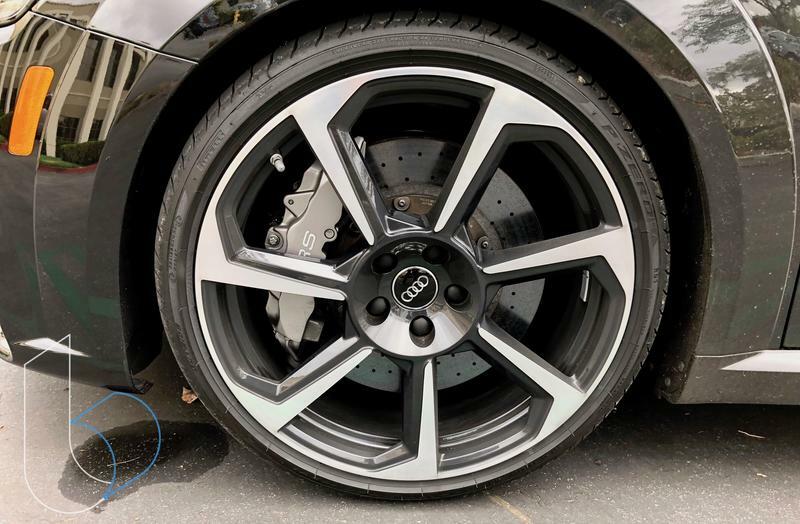 That may seem like a lot, but the 2018 Audi TT RS is a great sports car with a certain level of refinement many other sports cars don't offer. In fact, although I've never driven an R8, I'd go as far as calling the TT RS a baby R8. Audi made sure to carry over some aspects of the R8 to the TT RS. It starts with the looks of the TT RS. Among the upgrades we tested out had was a meaner front with a honeycomb grille, 20-inch seven-spoke high-gloss anthracite forged wheels and the RS sport exhaust with black tips that purr as you backfire downshifting. There are also little details like the dynamic OLED tail lights, striking daytime running lights and gigantic ceramic front brakes with the RS logo that add to the stature of the car. Our model came in a Mythos Black color, but it's also available in many more options, including Nardo Gray and Catalunya Red. Grand adjectives aside, I would have much preferred the gray and red color options; the black is kind of boring in my opinion, yet even with the less than stellar color option, the TT RS still stood out. People continually snapped pictures of the car when I was around town. While the exterior looks great, I think the real looker is the interior. Audi knows how to design an interior and fill it out with premium materials that feel extravagant. Every knob is stuck onto to place, never wobbling. The sport leather power seats are comfortable with a generous amount of side bolster to keep you into place while you hug those corners. My favorite aspect of the interior of the TT RS is the digital cockpit. The instrument cluster is all digital, making it completely customizable. You can have the speedometer or tachometer front and center or completely fill out the screen with the navigation directions (provided by Google Maps). As is standard for Audi cars, Apple CarPlay and Android Audio are both supported in case the stock infotainment system isn't to your liking. 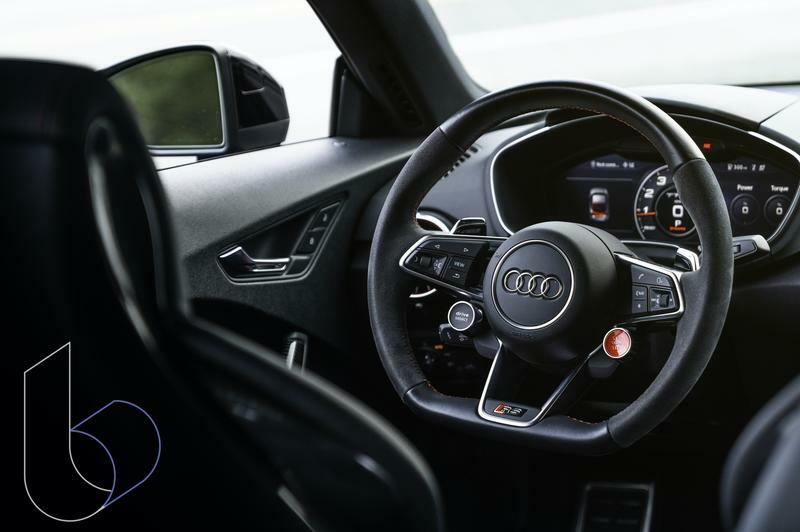 In adding the digital cockpit, Audi ignored adding a center console display (a feature carried over from the R8). This is the opposite of what Tesla did with the Model 3 by just adding a center display and no instrument cluster. I think I prefer Audi's version, but it's still a little weird. There's no way for the passenger to interact with the infotainment system. They either need to lean into the driver to see anything on the display or just depend on the driver to do adjust everything. Let me talk about the steering wheel for a second, because it is gorgeous. This is a premium car, so it is expected to have an impressive leather-clad steering wheel. 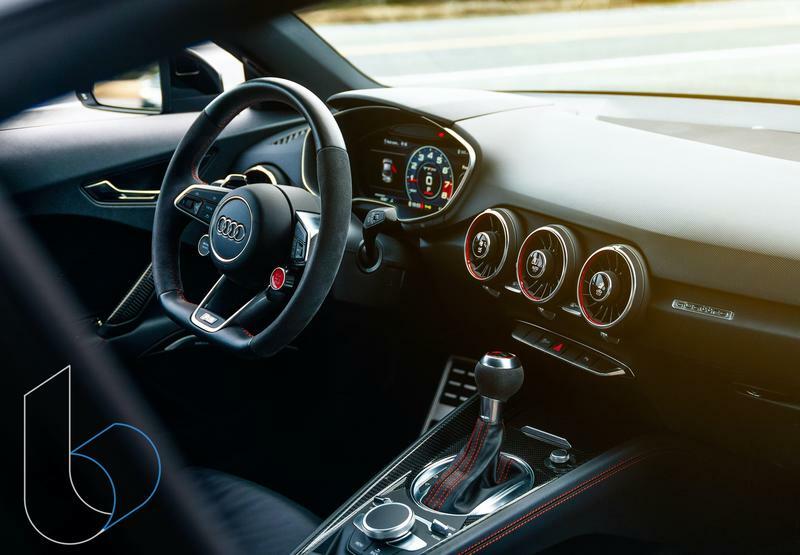 Audi didn't settle for just that and ramped up the stakes by adding alcantara to the sides to the ergonomic design and included the red start/stop button on the steering wheel, just like it did with the R8. Bringing it all together is the flat bottom finish that just screams performance car. Well done, Audi. 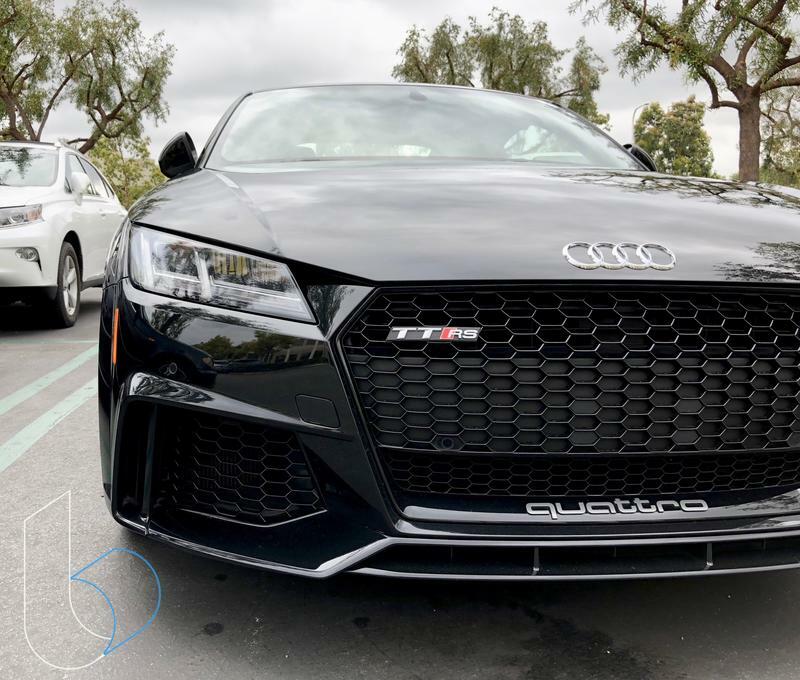 Powering the TT RS is a five-cylinder, 2.5 TFSI engine that produces 400 horsepower and 354-pound feet of torque delivered in the Quattro all-wheel drive. You'll control that through a seven-speed S tronic dual-clutch transmission. The automatic mode works normally, just turn on the car and drive, and the manual mode will be activated by moving the shifter to the left or pressing on one of the paddle shifters. Audi says the engine will get up to 60 miles per hour in 3.6 seconds and I believe it. That's because I tried it and it chewed up the road faster than I could think twice. Using launch control (activated by turning off traction control and putting the car into sport mode) in the TT RS provided an exhilaration few other cars can provide. The initial takeoff is so strong, it gives you a slight case of vertigo. You can reach a top speed of 174 miles per hour in the TT RS. Unfortunately, I did not put that to the test because I didn't want to get an enormous speeding ticket, but I did think of attempting to reach it. 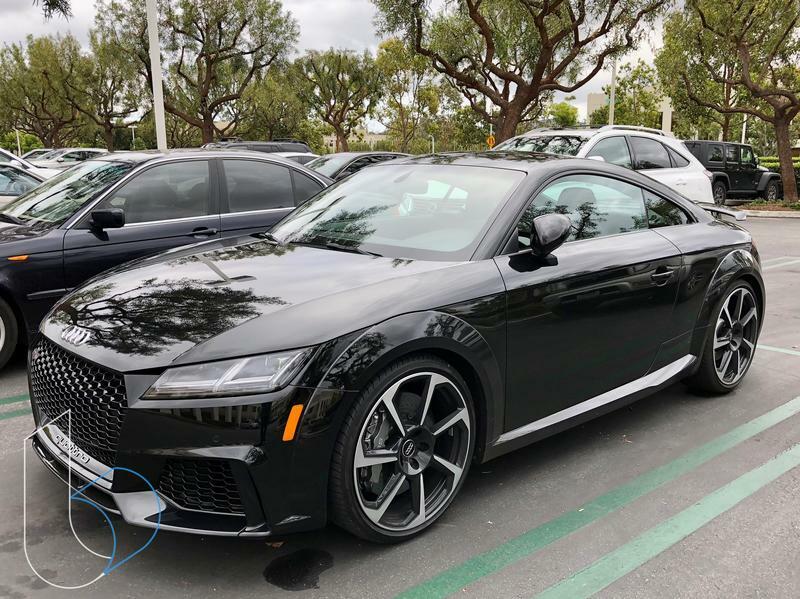 I came away impressed with the 2018 Audi TT RS. It is a speed demon with tons of tech that make it feel luxurious. From the leather and alcantara stitched steering wheel to the ultra high definition digital cockpit to the menacing grille up at the front, the TT RS delivers on the wow factor. That being said, if I had $80,000 to drop on a car, I have a hard time saying it would be the TT RS. Personally, I'd tend to lean to a four-door sedan with the same amount of performance but a little more room. For as sporty as the TT RS is, you aren't buying the car for its generous amount of space, of which there is little of. I'd be more of an Audi RS 3 kind of guy, but that didn't diminish the fun I had driving TT RS one bit. 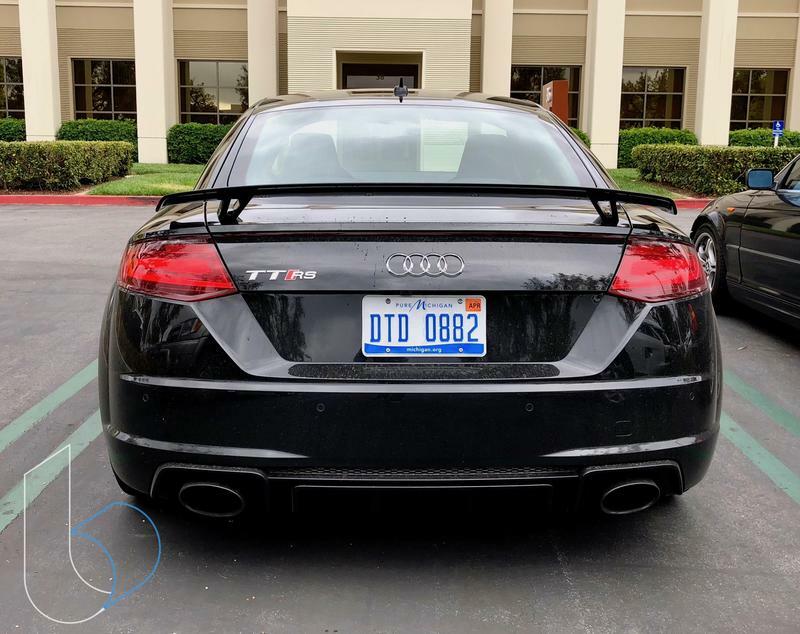 Disclaimer: Audi lent TechnoBuffalo the 2018 TT RS for a week to test drive for a sponsored video. However, the written post was not sponsored.